You may remember a couple of weeks ago when I reviewed the ColourPop Super Shock Shadows. Well, I didn't include these in that review because I felt I needed a little more time to properly test them out. You see, the Ultra Matte Liquid Lipsticks, while extremely affordable, are either hit or miss as far as the beauty community is concerned. You either love them or you hate them--very rarely is there ever an in between--and I thought it was only right that I give them a fair shot. Unfortunately, I misplaced the shade "Limbo" so I don't have that currently for this review. However, I do have a good range of colors from light to dark and neon to neutral, so that you can get a good sense of ColourPop's range. 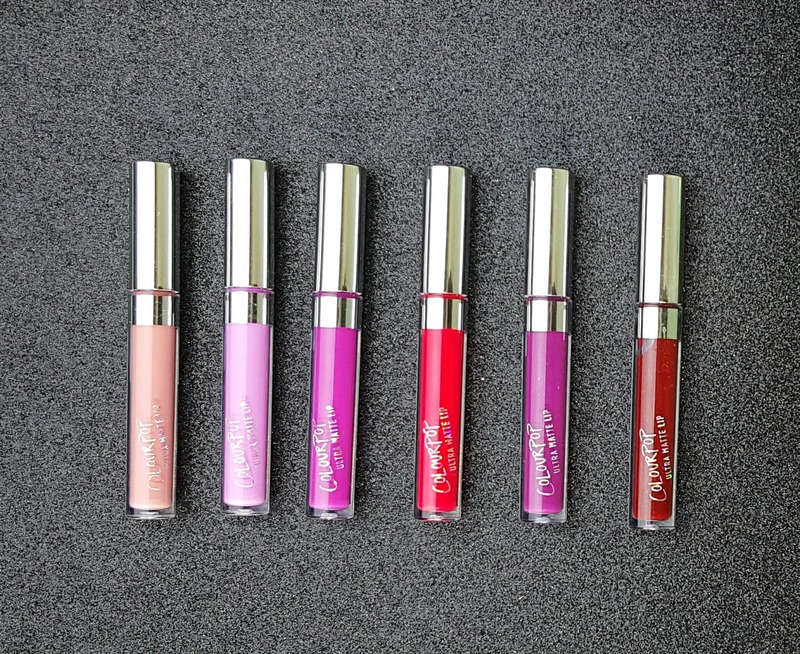 As the name suggests, these are a liquid lipstick with an extremely matte appearance. They retail for $6 with 1 oz. of product and can only be found on ColourPop's website as of the date of this post. While this might make it difficult when trying to find the right shade, there are a ton of swatches that can be found online since this is such a hot product. The doe foot applicator on this product is pretty standard and will suffice to provide a precise application. However, if you have a wobbly hand, you can always opt for a lip liner and lip brush. Personally, I'm not for or against the applicator--it's nothing special and rather hard compared to others on the market. I find I have to dip into the product three or four times because the applicator is so teeny tiny and can only dispense so much product at a time. This can be a positive for those of you who are very cautious about wasting product, but for me it's a bit of a hassle. I typically like products that only require one to two dips max. Just a note: if you find a particular color is not opaque enough for your liking, let the first layer dry down completely before going in with the second layer. Due to the product's fast dry time, it gets tacky relatively quickly and if you go in too early to apply the second layer, it may pick up that first layer and become patchy. This particular part of the review is why I wanted to test this product out a little longer than expected. When I first received the product, I swatched all of the shades on my arm. I allowed them to dry down completely for 20 minutes and then I proceeded to run my arm under water and scrubbed like my dear life depended on it to no avail. The product did not budge in the slightest. Yet, when worn on the lips, I had a completely different experience. ColourPop suggests applying this product onto dry, exfoliated lips, so for my first impression, that's exactly what I did. For dramatic effect, I used the darkest shade that I purchased, LAX. On applying the first layer, I noticed that the liquid lipstick didn't go on opaquely over the entire lip. I made the mistake of going in too early with my second layer and ended up having to put on three layers just for it to look decent. After allowing it to dry down for 20 minutes, I did notice that it felt a bit dry, but it wasn't uncomfortable. I proceeded to drink my coffee and then did the kiss test on my hand with only a minimal amount of transfer. However, after that it was all downhill for this lippie. I didn't eat or drink much throughout the day until later than night at around 8:30 PM because I was insanely busy (horrible habit, I know). Despite that, the lippie wore off in the center of the lips in the most unflattering way possible and became increasingly more dry as if it was sucking all of the moisture out of my lips. And by the time I ate my food, I was able to easily wipe off the rest of my lippie with no problem at all. 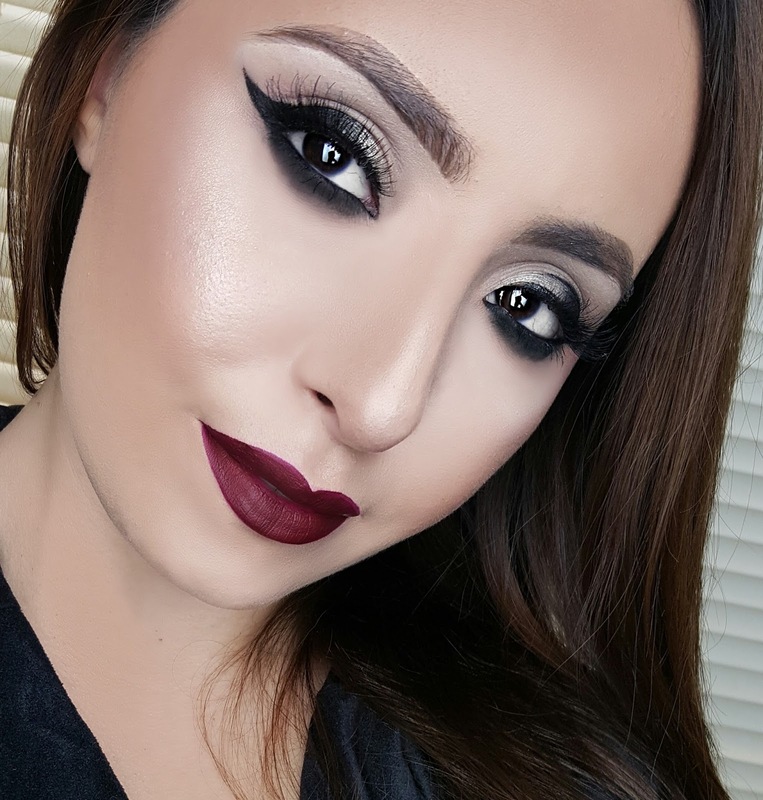 I wore the liquid lipstick for a little over eight hours total...if you count the many hours that it looked as if I was wearing extremely dark lip liner with nothing in the center of my lips. The ColourPop Ultra Matte Liquid Lipsticks are awesome, affordable products if you're looking to experiment with a wide range of colors. Past that, I can't recommend them as there are much better and longer-wearing formulas on the market. 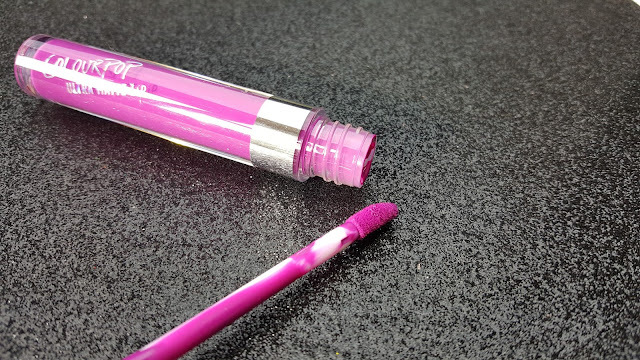 The second you drink or eat anything, it seems as though this lippie disappears, which can make it quite tricky and embarrassing with the less natural colors. While you'll have to spend quite a bit more, I'd be much quicker to recommend the Sephora Cream Lip Stains or the Ofra Cosmetics Liquid Lipsticks. Oh wow! Such fabulous neon colours! I think I might have to get my hands on a few of these!